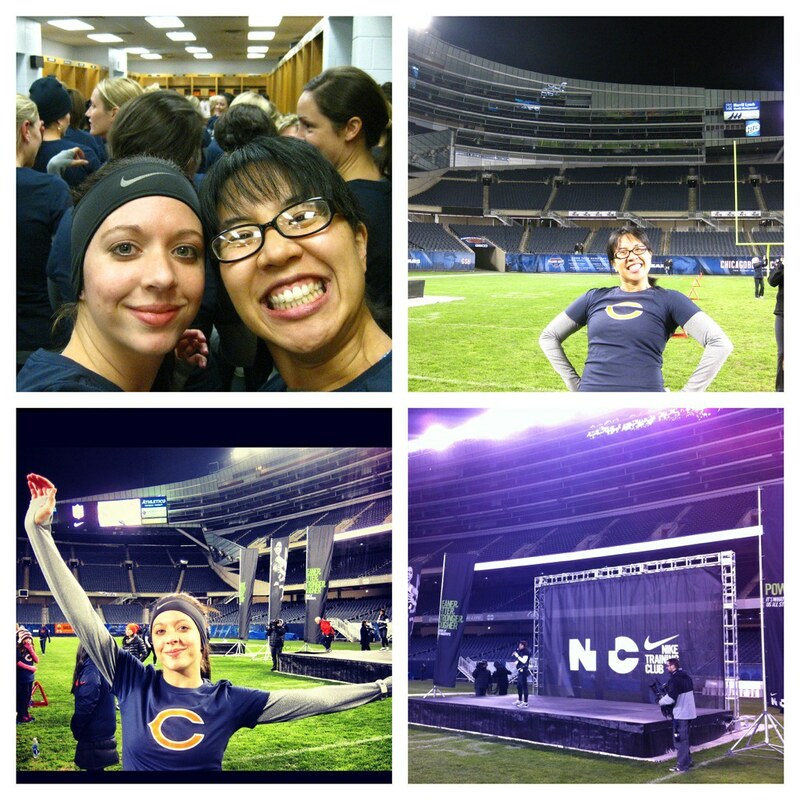 Xaarlin: The night I got to workout on Soldier Field. As a "VIP" I got a Nike plus Fuel band, a Nike bears tee, Nike sports bra, nike hyper warm long sleeve, nike socks, nike free trainers, and Nike running tights. All were comfortable and kept me warm. Pretty freaking sweet! Even sweeter was I got a "plus 1," so I invited Emily to join me. 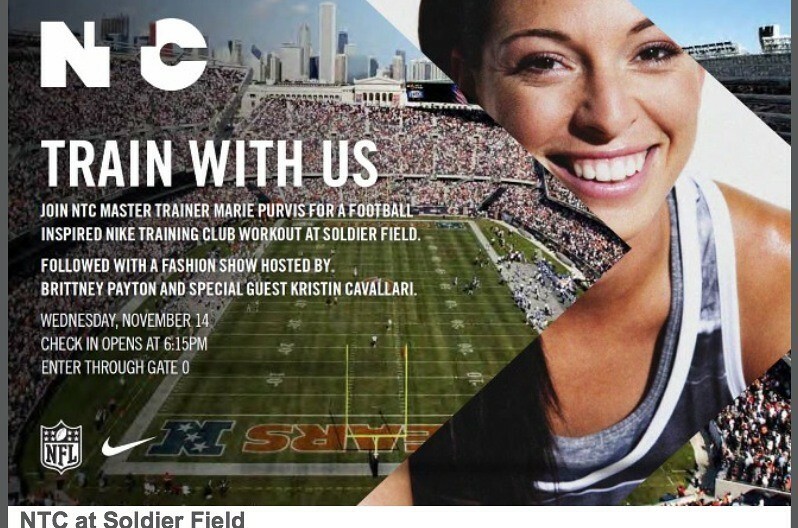 The event featured a 30 minute workout on soldier field with Nike master Trainers Marie Purvis and Alex Molden (Former NFL defensive back for the Saints) followed by appetizers then a fashion show hosted by Kristin Cavallari and Brittney Payton. (Daughter of Walter).. There were over 450 women in attendance!! It was an amazing event. We got a pep talk from Marie in the locker room, and then we got to run onto the field. The workout was a difficult 30 minutes worth of short intervals of lunges, squats, jumps- I was out of breath and my quads/glutes were on fire by the end of it. Earl Bennett , wide receiver for the bears also made an appearance! 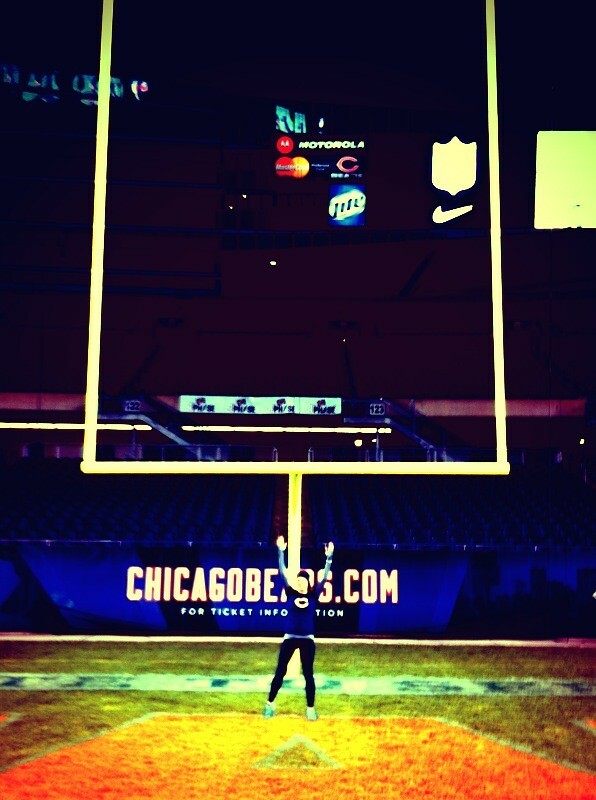 Being on Soldier Field was amazing!! After the workout they had some delicious appetizers for the participants, and then the fashion show began. 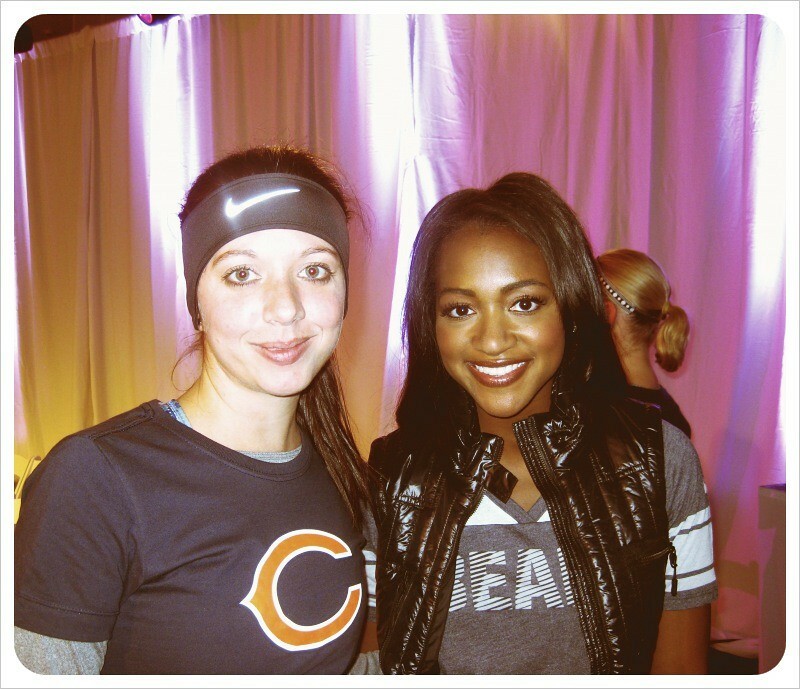 Got a photo with Brittney Payton. Was also hoping for a photo with Kristin, but they whisked her away quickly. Nike really out did themselves at this event. I really didn't know what to expect, but it far surpassed whatever I would have imagined. They certainly pulled out all the stops! And did I mention this event was FREE for EVERYONE who registered? 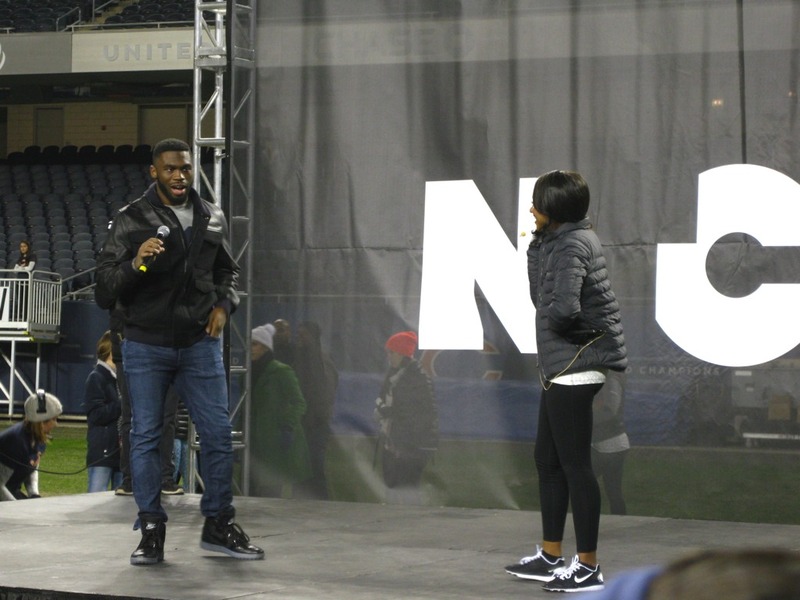 Nike said they are planning on having more events in the future- I hope so because this was amazing. 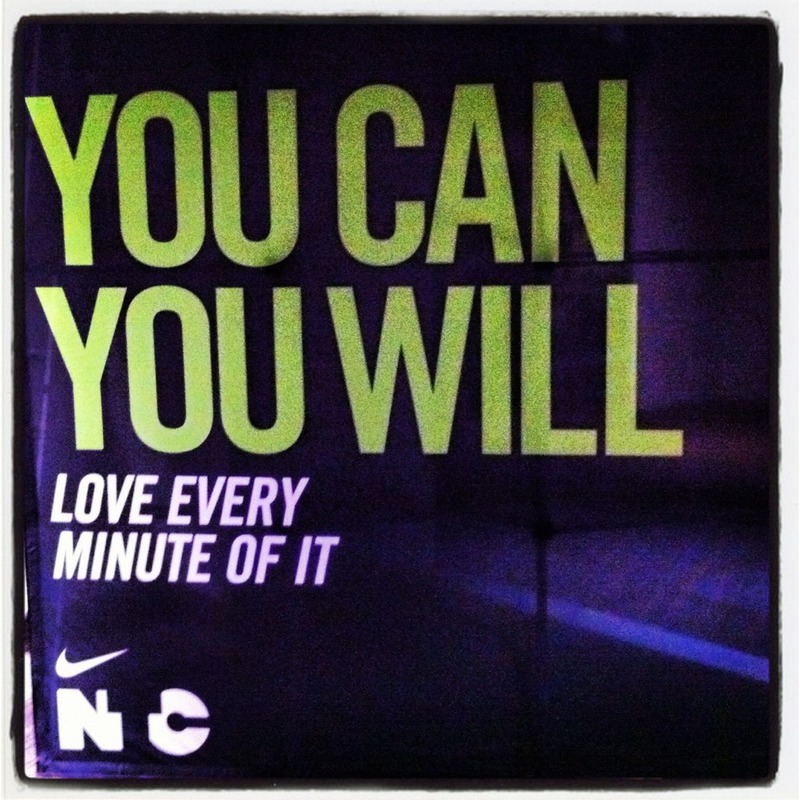 I might also have to start going to their NTC workouts at the Nike Chicago store each week to challenge myself. 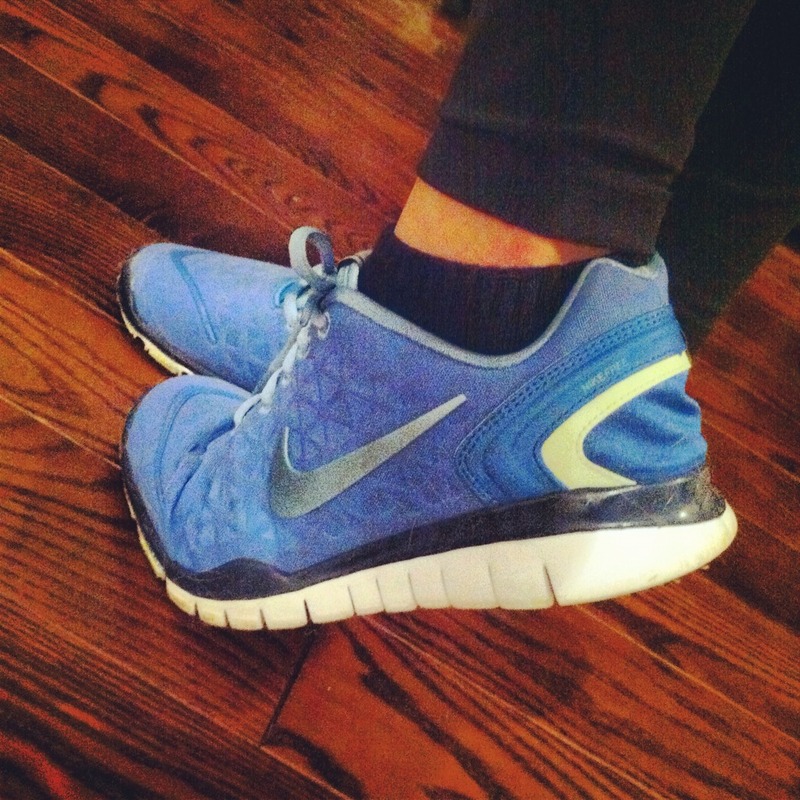 I love the NTC App, but working out in a group is much more fun. We had a blast! 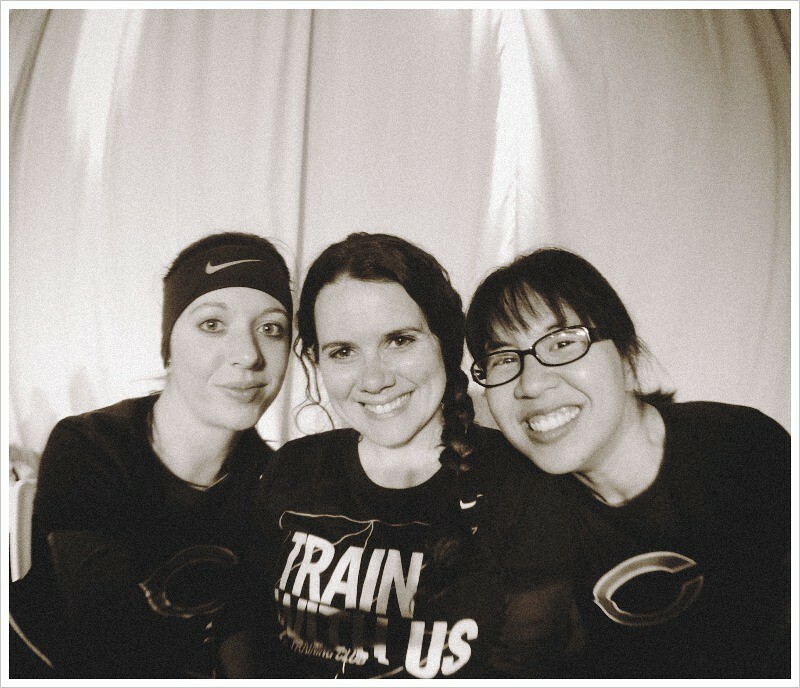 Emily, my co-worker Adele, and I. THANK YOU Nike for putting on such an incredible event! How cool is this! Glad you had a great time! Whoa that looks awesome!! 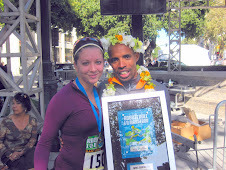 So cool that you got to share it with Emily, it's always more fun to do this type of stuff with a friend! This seriously looks like the most awesome time. All the stuff is amazing, but i am seriously in love with that fact that they put you and emily's names on a locker space! amazing!! Oh wow! How cool!!! I'll have to look into this if there is a next time! Wow. Just wow. That seriously sounds like the best event ever. Going into the locker room? 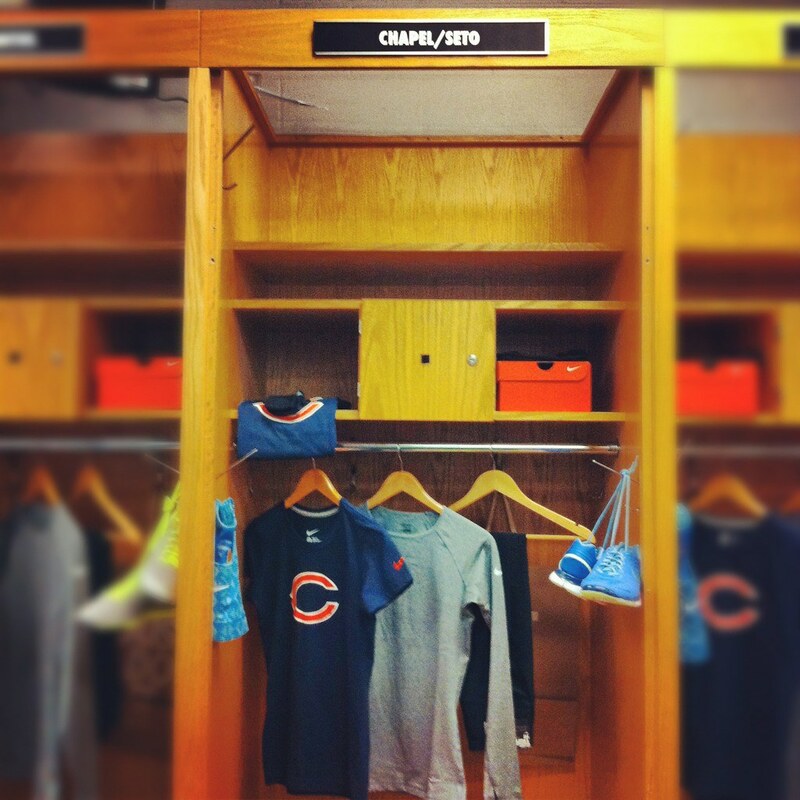 Seeing your name on the locker room stall? Meeting Brittany - who's Dad is one of the best players in NFL history? Being out on the field? 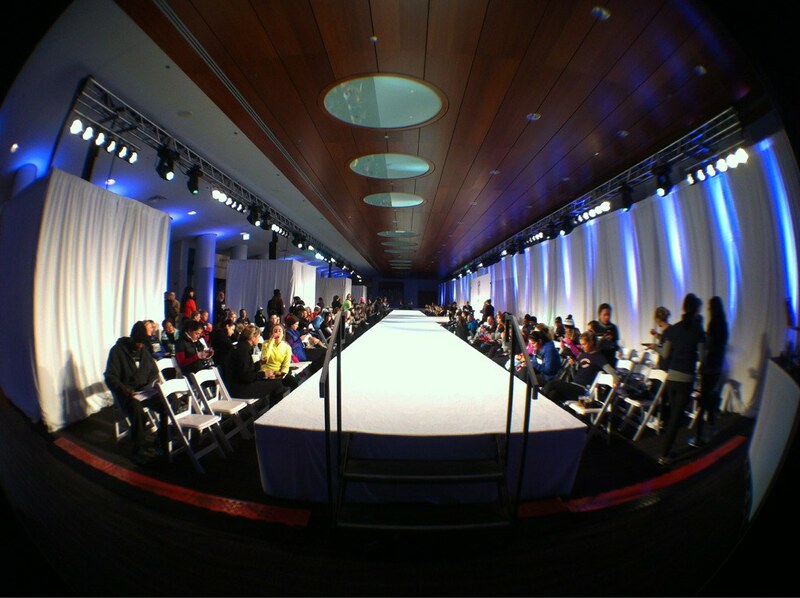 The fashion show? You don't know how jealous I am of that experience - if the 49ers had something like that, that would be awesome. Oh my gosh, I had the bestest time with you last night!!! THANK YOU AGAIN SO MUCH for bringing me along!!! I was already trying to figure out what I could do to reciprocate, but my initial ideas of having you and L over for dinner don't really seem to compare. =P In any event, can't wait to get together again very soon!!!! This event looks like so much fun! Plus sweet swag! That's awesome. I need to get involved with that Twitter thing. Look at the cool things I am passing up! love emily's cheese face! she looks like she is having a hoot! sounds like it was fun! was all the gear they gave you bears stuff?